The newborn died in the doctor’s arms. Then he grabbed a scalpel and started to massage its heart. Normally the birth of a baby is a joyous occasion. 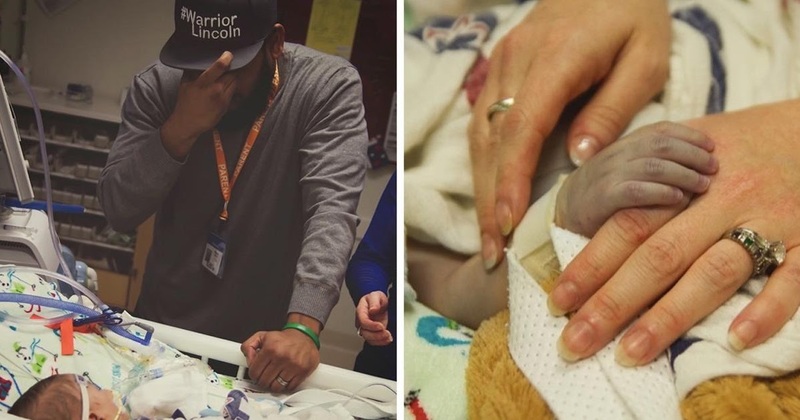 But when Lincoln Seay was born, everyone was extremely worried — the newborn was only seconds old and was already facing death. That's because Lincoln suffered from a rare genetic defect that caused his organs to develop on the wrong side of his body. His heart was so weak that the he needed immediate surgery to survive. The doctors in Anchorage, Alaska, immediately performed surgery on little Lincoln and managed to stabilize his condition. But further tests showed that this would only be a temporary solution — Lincoln's only hope for long-term survival was a heart transplant. All the family could do was wait and hope that a donor was found in time. Three long months went by until they finally received the good news: a heart was on the way. Lincoln was taken to a special clinic in Seattle where the transplant would be performed. But the infant's condition was steadily getting worse and time was running out. The anxious parents waited while they watched their son fighting for his life with every breath. While waiting for the heart to be delivered to the clinic, Lincoln's condition became critical. Doctors worked feverishly to keep him alive. His mother Mindy remembers: "They were doing chest compressions and, from what I understand, it wasn't getting him anywhere and so because the heart was en route they went ahead and opened his chest and the surgeon reached in and hand-compressed his heart until the new heart arrived." Finally the heart arrived at the clinic and the transplant began. The exchange of the hearts was performed "on the fly" with a doctor massaging Lincoln's damaged heart right up until the moment the new one was ready to be put in. When the new heart was in place, everyone awaited the moment of truth. Could such a tiny, weak infant survive such an invasive procedure? At first it didn't look good, and for a few minutes Lincoln was officially dead. But then his new heart began to pump! Lincoln's body was accepting the donor heart and his chances of survival were good. Everyone was able to breathe a sigh of relief and Lincoln's parents were naturally overjoyed. A last minute organ transplant had saved Lincoln's life. The donor remained anonymous, but Lincoln's parents have expressed their general gratitude and hope that their message somehow reaches the people who deserve it. Somewhere out there, there are people who lost a child and were willing to let its death give new hope to other children. Lincoln received this child's heart and he and his family will be forever grateful to them for that. Their selflessness and generosity have given the Seay family the most precious gift of all: the gift of life!